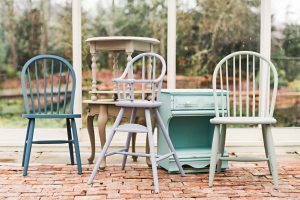 Do you love the look of painted furniture but don’t know where to start? Then this class is for you. You’ll learn the basics to properly prepare, paint, wax, glaze, and distress on sample boards using and complete a small take home project. Cost to attend is $55 — includes all class supplies and a 10% coupon of any Country Chic Paint Purchase on class day. Due to limited class size, registration and payment is required to hold your spot.